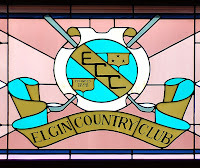 For more than a century, the Elgin Country Club i n Elgin, Illinois has served the recreational needs of the city and surrounding areas. 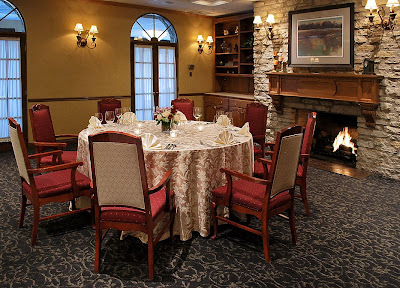 I had the opportunity to photograph its fine dining areas in the clubhouse for the Country Club's print and web marketing. I approached the photography as though through the eyes of a patron. I took sweeping views of each of three dining areas, then positioned myself to see the surroundings as someone actually sitting at a table. 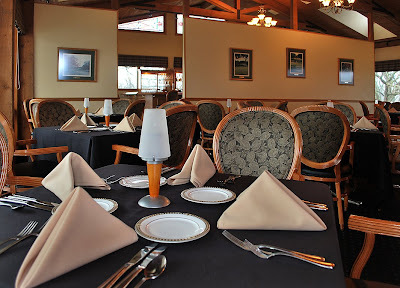 The large open spaces within the clubhouse and rows of windows, which provide a wonderful view of the surrounding golf course and grounds, allowed for making shots with available light, even on a cold and overcast February day, with a minimum need for reflectors and supplemental lighting. A private dining area was lit entirely by the lighting installed in the room. Only a white reflector was needed to cast some light onto the backs of the chairs nearest the camera to eliminate some shadows. 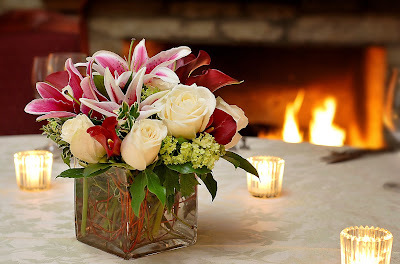 On a technical note, shooting an entire room area with a wide angle lens will distort perspectives, which must be corrected in post-processing unless you are photographing with a view camera or a tilt-shift lens. 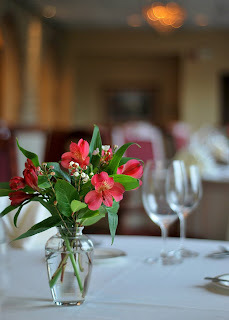 I also shot a number pictures that captured many of the small but elegant details of the facilities to give the client several options for depicting each dining area. I hope to have the privilege of returning in the spring to capture the course and grounds in full bloom.